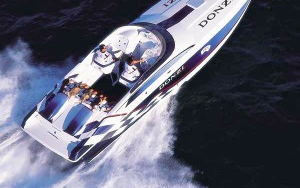 When Donzi designed the 35 ZR, its mission was clear: Offer the same speed, dynamic handling, precision balance, and exceptional rough-water ride as its World Champion ZR race boat. Employ a user-friendly layout, with emphasis on comfort, accessibility, usable space, and overall driver/passenger enjoyment. Utilize a true 35-foot platform that will offer greater comfort and better handling than smaller so-called 35-foot competitive offerings. Max hp displayed as standard. 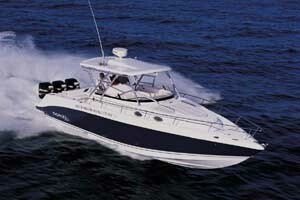 Various Mercruiser power options available. 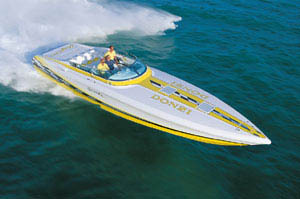 Roman grew up in Venezuela and was always surrounded with boats owned either by family or friends in two of the most well-known clubs, Bahia de los Piratas (Bay of Pirates) and Club Puerto Azul (Blue Port). He navigated through the Caribbean to Curacao, Aruba, Bonaire and as far as beautiful Barbados. Back in 1992 he decided to move to South Florida looking for new adventures and found here his second home. 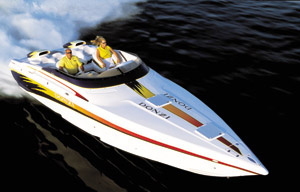 Also surrounded by the Atlantic Ocean, he soon found a place to work in the marine industry with Sea Ray and Bayliner products exporting high-value units to South America, mainly Venezuela, Brazil, Mexico and Argentina. 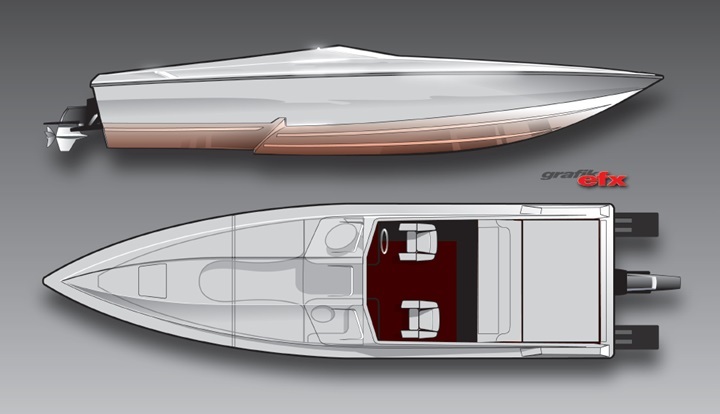 In 2001 he made a change to become a Yacht broker and start a new experience in the world of Go Fast boats working with major lines like Donzi and Cigarette. He sold them both locally and areas around the world. 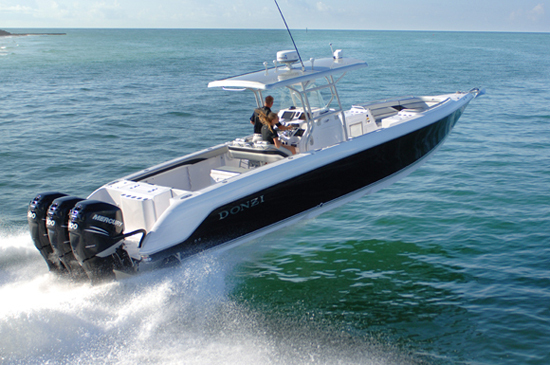 His main goal in the boating industry has always been honesty and service after every delivery, helping clients find the right boat that fits their lifestyle and guiding them to make the right decisions.